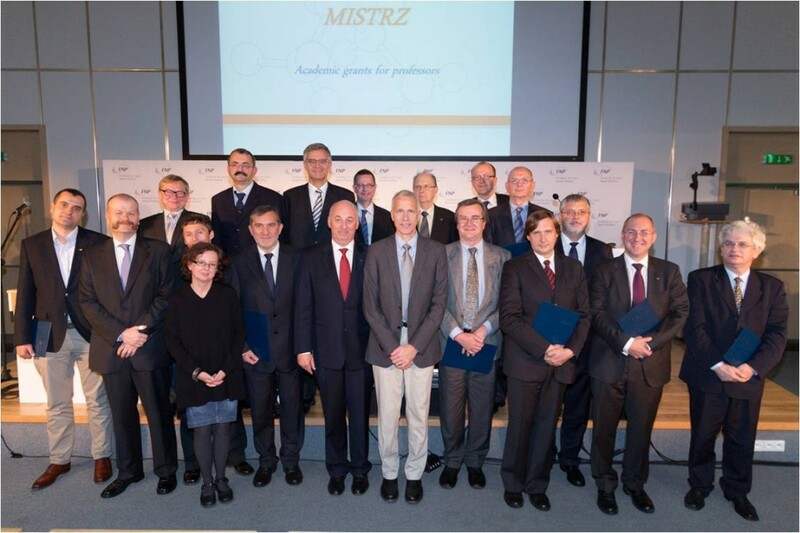 This is the 16th time that the Foundation for Polish Science has awarded its Master/Mistrz academic grants to outstanding and experienced scientists undertaking new directions of research. The official presentation of diplomas to the beneficiaries of the current edition took place on 24 October 2013. 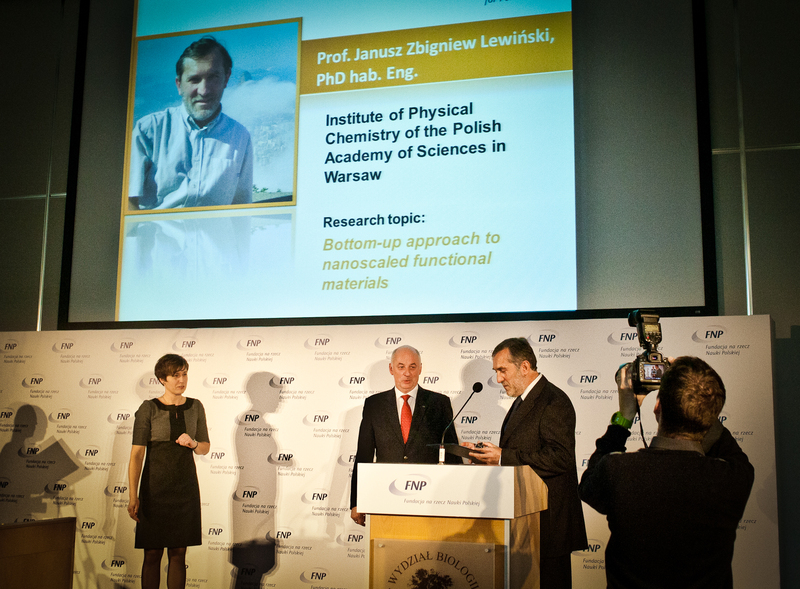 Janusz Lewiński was awarded for the project entitled Bottom-up Approach to Nanoscaled Functional Materials. The ceremony concluded with a lecture of the guest of honour of the event — Professor Brian Kobilka, winner of a Nobel Prize in chemistry in 2012. 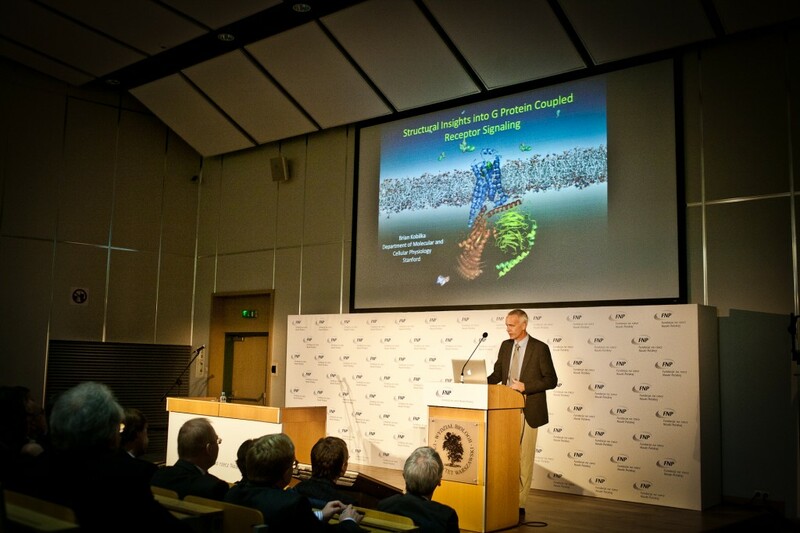 He delivered a talk entitled Structural insights into G protein coupled receptor activation. The objective of the programme is to support distinguished scholars by awarding them grants designed either to intensify the research they are already conducting or to explore new fields of research. The programme is addressed to advanced researchers whose attainments so far provide assurance of proper use of the funding, and who are able to effectively combine research with training of younger staff. Mistrz/Master Programme 2013 Laureates with Brian Kobilka. Photo: Marcin Zawadzki, fnp.org.pl.